Covenant Relationships: Did I Catch You At A Bad Time? Her mother was a cleaner and her father was a garbage truck driver who struggled with drug addiction throughout Janelle Monáe's childhood. She pays homage to her parents with a signature black-and-white tuxedo she wears for every performance. "I call it my uniform," she explained. My mother was a janitor and my father collected trash, so I wear a uniform too. 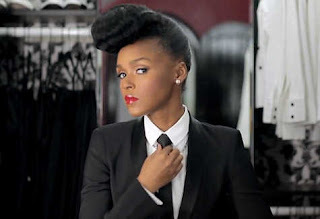 I can't imagine what it must have been like for Janelle Monae but having also gone through a difficult childhood where I struggled with an ill mother and poor self image and constant feelings of alienation, I identify with where she is coming from. For years I blamed my dad for all my problems then I blamed my mum, the bitterness prevented me from loving, trusting and building healthy relationships. My mum wanted me to have all the things she didn't have; when all I wanted was love and attention. When I was younger , not even much younger, just till several years ago, I would always look to every perceived failing of my parents and blame them for it. Then I had a daughter of my own and I came to realize that I cannot be there for her all the time and that sometimes I am tired and need a break, and find myself saying and doing some of the things that my parents did. It was then that I realized and understood that we expect our parents to be like God -- always there and never make mistakes. if they tried to tell me this when I was younger I would never accept it, so if I try to explain this to my child she too will never accept it. But I can make an effort. Many parents are so concerned with keeping up with the Joneses; nice car, trips abroad fancy clothes, they forget the things of most value are priceless. I'm tempted to say too many people are using children as a tool to brag or show off...OK there! I just said it! Which, in return, will impact on that said child's life. We should put to best use the cards we are dealt. Just because we may fail in some areas does not make anyone a bad parent.....even if that person failed in their parental duties. In my honest opinion, the minute anyone thinks that only success and perfection makes a person a "good" parent, then that's the moment they have failed as a parent. Sadly, ego plays a big part in how people raise their kids, and many don't believe in what they are trying to preach. "My mother would say "of course I know you, I'm your mother " I would feel that she really never did get her chance to know me". I guess what I'm trying to say is, let's consciously enjoy our kids and get to know them. I'm talking to mums and dads with tight schedules to slow down when you get to the front door and give that child a warm hug and a kiss. Let's spend less time with the TV and spend time sharing jokes and stories, go out buy a monopoly and scrabble set. Let Junior expand his vocabulary and let wifey buy all the hotels and utilities till you all feel like giving up. I don't promise that you will have an earth shattering experience, but try it and see what happens. It's cheap; it's fun and we will cherish those memories forever. Thank you Zainad, may God bless you and make you a super mum.